Fiske Steakhouse is a must-visit place if you happen to be in the Keramat area. It is hidden away from the main road, surrounded by other eateries. There's a mix of Western and Eastern food. I have personally tried the Asam Pedas, but my favourite is their Western food. This is my third visit and I've tasted their Steak, Chicken Chop and Special Burger, in-house style. There are plenty of items to choose from, so choose wisely. 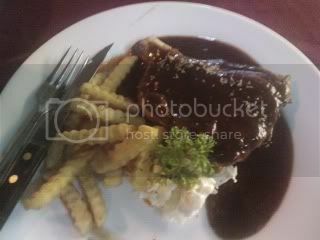 For example, there are a few types of Chicken Chop to choose from. I just had the normal chicken chop and I enjoyed it. 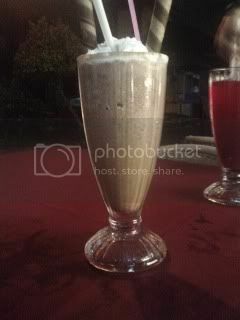 My drink of choice is their Oreo Ice-Blended and I love to end my meal with their Cheesecake with Ice-Cream! Do drop-by and enjoy your meal here. While some gerai might serve Western food, Fiske Steakhouse is slightly more upscale than a gerai and they have more stuff to choose from. Sometimes you might feel like you're eating at a restaurant in an upscale mall because of the food they serve. Their staffs are also friendly, too! INFO: Fiske Steakhouse, No. K4, Medan Selera AU2, Taman Desa Keramat. Call Nur Azlina Ahmad (017-3742109) for catering services.